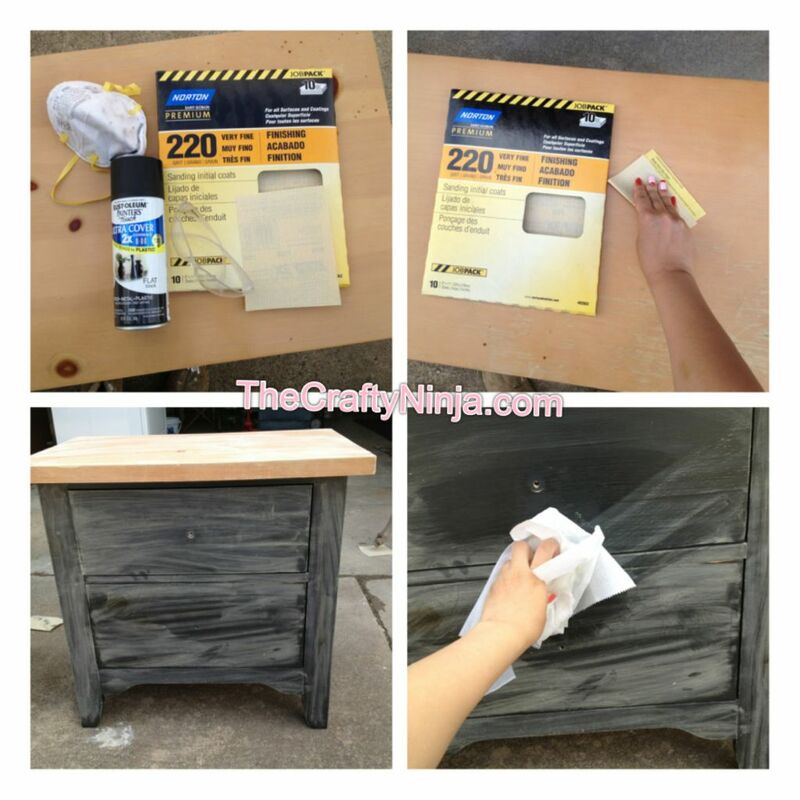 This tutorial is How to Use Spray Paint Furniture to give a fresh new look to old furniture. I have tried about every type of paint to paint walls, furniture, and doors. In this project I experiment using spray paint to see if it would come out as nice as the old traditional way of painting with a paint brush. 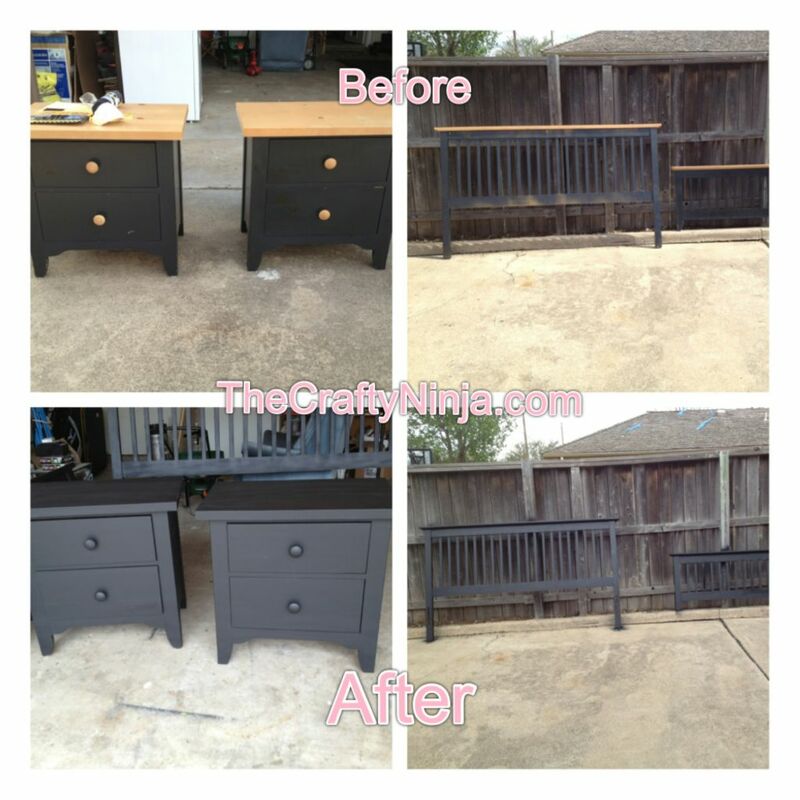 This bedroom set was tan and navy blue and was spray painted using Rust-oleum Painters Touch- Black. This project cost me only $16 for the 4 cans of spray paint and I had most of the supplies. This supplies needed are: 220 Grit Sand Paper, Rust-oleum Painters Touch- Black, 3M Respiratory Mask, Damp Paper Towel, and Eye Protector. First lightly sand the cabinets to smooth out uneven areas. Then wipe with a damp paper towel to clean up the dust residue. When spray painting it is important to be in a well ventilated area or preferably outside. Be sure to wear an eye protector and a mask because the fumes can be toxic and harmful to breath. 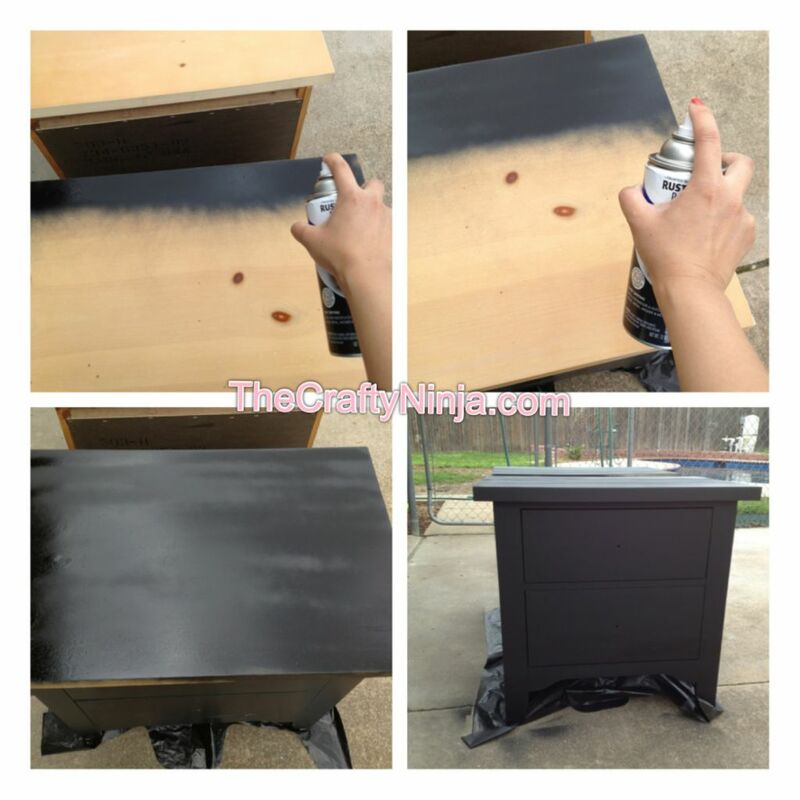 The best technique to spray painting is going in the direction of the wood grain, or if there is not wood grain then all in the same direction. Spray and release instead of holding the spray paint down the whole time. For example I would start at one end and go in a horizontal direction to the other end and release. Then go from one end back to the other end and release. Let it dry for about an hour and then respray to give it a double coating and areas you might have missed.